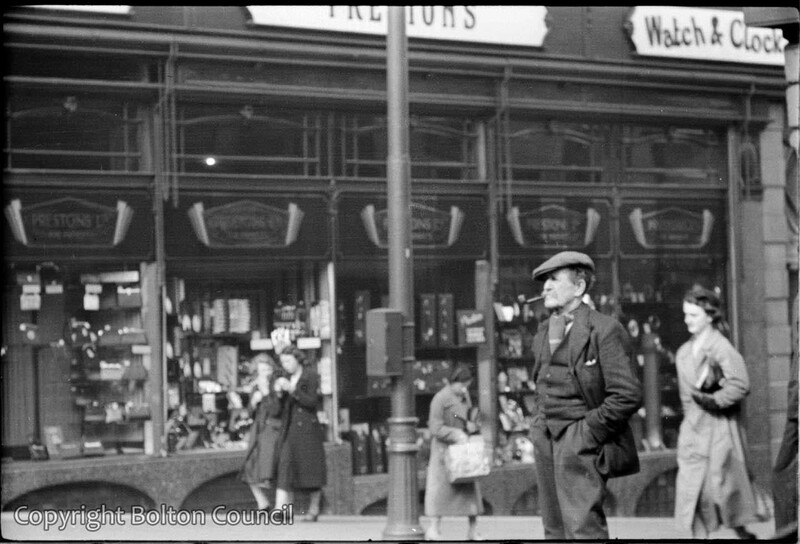 Pedestrians pass the windows of Preston’s of Bolton. The shop opened in 1869 and is still famous today for diamond wedding rings. The man with the pipe is on the previous two photos against the lamp. He is a great man to study. Both my sets of grandparents came from down the hill. Brown ST. Green St. And the Area was LITTLE BOLTON.